"I want to finish my degree. Getting married or having kids seems difficult now... but I want my scroll"
I came back during summer holiday, and promised to visit her... I was a day too late. My dear sweet friend passed away not long after she finished her study. She had cancer. She was not the only reason why I have been volunteering with childhood cancer patients.. but the short period of time that I had with her leads me to the turning point in my life. Her words I remembered clearly .. her courage and strength is something that I admire, till today. May Allah bless her soul.. insha Allah.. I am taking this chance to express my gratitude and appreciation to relatives and friends who have been supporting, helping and praying for every little projects that I have came up with, for the children with cancer. Thank you so much and I love you all. As we are almost reaching new year for the Islamic Calendar which is 1431 Hijra, as well as Year 2010, I wish you the very best, happiness and good health in years to come. She loves to smile. No matter how hard her days goes by… while having chemotherapy, being in isolation room or during moments her body is all aching… she will always give me the priceless gift ever… which is the SWEETEST SMILE. She is 10 years old, an ALL patient. She loves drawing. In fact, recently, she did a get well soon card for her idol, Ms. Misha Omar. Isn’t that sweet…. As sweet as her smile.. 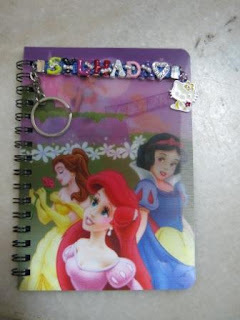 I received Specially Yours #6 from Ibu Adam a few days ago, and sent to Adik Najiha today.Yup, her name is Najiha. Note: Ibu Adam is not only my close friend, but she is also the one who did the setting of the blog for Wishing Well Programme. I am really bad in that. Lucky me.. I have her :) All I do is compose and click “ Post” . The rest… is all her work! Subhanallah... a few days ago I received 2 t shirts from a great sportswomen , Ms. Shalin Zulkifli, who despite of her tight and busy schedule, spare her time in giving support to Azmer. Azmer is a 16 years old boy, who is currently undergoing bone cancer treatment at a hospital in Kelantan. Azmer loves bowling. He used to play bowling before being diagnosed of having bone cancer. Oh yes.. he is the boy who I post before... who lost his father due to cancer too. 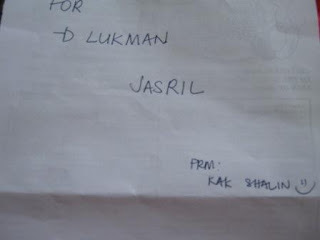 Ms. Shalin does not know me personally.. kudos to Mr. Lukman Jasril who immediately text Ms. Shalin, once he heard of my intention. Allah listen to every words that we said.. either silently in our heart.. or when we voice out loud..Subhanallah.. Thank you Jaa.. for being such a great friend, and for supporting from the very beginning :) May Allah bless you.. I knew about her through friends. A chirpy young girl.. she was interviewed by Mr. Hj Aznil Hj Nawawi recently. " Dia ni ceria la..." Even though the memory is a bit blury in my mind... I believe that was what he said. Specially Yours # 4 reached me last week. Insya Allah.. she will be getting it in a few days. "Kalau kat telefon,boleh cakap banyak.. kalau tengok muka malu.." That was what he said to me. He is shy every time he sees me in person.. but over the phone, he will tell me a lot of stories. He is a 13 years old boy, who is fighting bravely like every little heroes in the ward that I know. His mom also carries a character that I admire. She is always smiling and joking with me. Deeply in her heart and in her mind, I believe there will be 1001 things lingering around, but she never fails to give me a priceless smile... may Allah bless her.. He is the recipient for Specially Yours #3. It touched my heart every time my friends called me and asked..." Do you think gift like this will make the children smile...? " or.. any questions that are similar to that. Regardless how rocky the road is... how strong the wind blows... how loud the thunder roar... she never give up. Her courage is something I admire. She is not a who's who .. who appears on the front page of a newspaper. She is a mother. Trying her best to provide a good life for her children. As the son is in constant pain nowadays, she has to stop working. Waiting for a welfare contribution alone is not her way. She build up her confidence, with a strong spirit.. she started selling things she knows best. She is selling kuih siput ( a traditional malay crisps made of flour, margarine and spices ). By doing this, she can have her eyes on her son.. as well as making the ends meet. 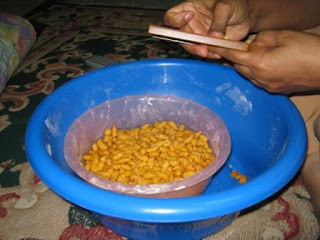 Well.... kuih siput ..anyone ? From the bottom of my heart, the description above ( the first 3 lines ) is not only a tribute to her.. it is a tribute to my mother.. my relatives... my friends.. and to all of you, who are mothers/aunties/guardians. .. Ladies, you are not only BEAUTIFUL, you are AMAZING !! With an extra of RM50 in my purse, my mind will be wandering, thinking of a trip to Kinokuniya and a stop over at Dome for coffee. For this mother, RM50 will be able to cover the round trip taxi fare from her house to the hospital. However, she could not afford spending RM50 on taxi. That could cover a week of groceries. Hmm.. with everything becoming costly now, I doubt it. The normal route will be... first, taking a bus from their house to the nearest lrt station. Next, taking lrt (Putra). Then change over at Masjid Jamek for STAR line. Lastly, hop into a cab, heading to hospital. They are not going to hospital for a simple check up. The son is undergoing radiotherapy. I am skipping buying a book this month and a drink at Dome. It can wait. Note : The son will be going for 15 times of radiotherapy = 15 days. The two little ones... too young to understand what is going on..
Little kiddo asked , " kenapa ibu menangis ? ".. on her behalf I answered, " ibu sakit gigi ". The father chose to leave his family. I am very sorry to be a bit emotional about this.. but I am just a human. However, this anger will have to end now. I have no right to interfere in anyone's personal matter. Astaghfirullahalazim..
Children have the right to be happy. I hold strongly to that. The last thing the son need is a broken heart before his next radiotherapy. Therefore, spontaneously, I asked them, " Cuti sekolah nak pegi jalan-jalan kat Aquaria tak ? " They said yes :) It will be on Sunday (22/11), a day before the museum trip, insyaAllah..
She is a cute, smart cheeky little girl. Loves to sing, she is the entertainer at the ward.Honestly speaking.. she is ADORABLE!! 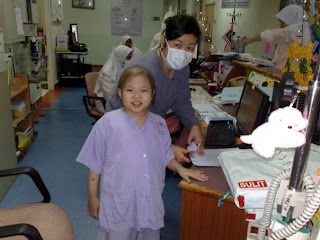 Little Hani Liyana is an ALL ( Acute Lymphoblastik Leukimia ) patient, 4 years old. She was jumping up and down when she saw me at the ward the other day. Betul.. tak tipu :) Seorang kanak-kanak yang sangat manja & ceria. I would not know what kind of treatments can help her, what medicine can cure her... but I know prayers are something that you & I can give. Not forgetting, I can try by widening the wings of the project that I have started a few weeks go. Specially Yours #2 reached Adik Yana on Monday. Last week was her 4th birthday. Her mom sent me the pictures in this post. Thank you everyone.. may Allah bless you..
" Apa yang penting... kerjasama... Apa yang penting... kerjasama... "
That was the program that I watched on my birthday recently, " Wonder Pets " . Guess who actually made me watch it....... mom & dad :) ..love them so much ! Semoga Allah membalas segala jasa baik anda semua...InsyaAllah.. 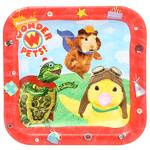 I do not have Wonder Pets coming rescue me... but I definitely have Wonder People by my side.. I personally did not expect him to cry. Especially because that was our first conversation. He is 16, currently seeking treatment in Kelantan. Having lost his father due to throat cancer last year, Adik Sharifuddin has now started his own journey in battling bone cancer that was just diagnosed recently. His sms was something like this.." Dah masuk dah chemo pod.4 hari lagi baru masuk ubat.. "
Maybe, he has kept the emotions to himself for so long. Therefore... the tears of a child fell the day I called him. He no longer has both parents with him right now.Mother could not be located, and father has passed away. But I strongly believe, after this post, there will be a lot of people, young and old, offering a sprinkle of love for Adik Sharifuddin . In other hands.... insyaAllah, there will be new "extended family" members. Currently, almost everyday I will be getting a new case. My resources are very limited but I believe, Allah works in mysterious ways.. InsyaAllah. He will be there for us, as long as we have faith in Him. For Adik Sharifuddin, it is very hard for me to visit him physically, as he is in Kubang Kerian, Kelantan. However, I believe.. distance is not an issue. InsyaAllah... with His blessing.. something will workout... soon.. In response to the plight highlighted in NST, Harian Metro and Berita Harian, a group of friends came together and came out with one cheque for Adik Shaidie. All I can say is... Syukur Alhamdulillah. All praise to Him. What I can see is.. no matter how little amount we can contribute, that is not the issue. Sikit-sikit, lama- lama jadi bukit. 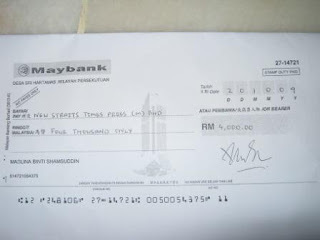 What I received yesterday was a cheque with an amount of RM4K. Subhanallah.. to those who have donated, thank you very much. I personally have handed your donation to NSTP yesterday, together with a dear friend of mine, Mas. Honestly, I did not expect that amount. Allah telah mengizinkan segalanya... Alhamdulillah. She has been considered as under palliative care. 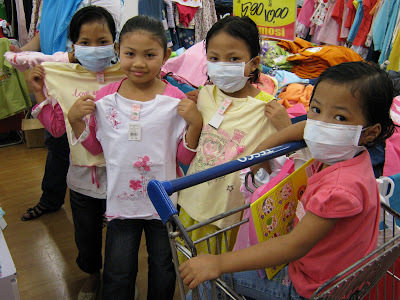 Having been diagnosed of having leukemia at a very young age, she has been in and out of hospital for countless times. The chemotherapy failed on her.. now.. she is in the stage called " bertahan ". Oh yes, she is 13 years old now. To get through to her is not that difficult, as she is bubbly. She has been sending me messages constantly. However, tonight, she did not reply to my sms. It is because I asked her.." Pergi sekolah tak..?" Most of the childhood cancer patients that I know are brilliant, clever and honest. Easier said.. good girls and good boys. I know she could not lie to me.. therefore, she chose to be silent. A few weeks ago, her parents have asked for my help to constantly follow up on her schooling. It is because... after being away from school for so long, she has problem in making friends. This is one of the issue that Wishing Well Programme is looking closely into. In helping the childhood cancer patients to regain back their confidence and be strong to face the world outside hospital. Honestly, I know it is difficult. However, it is not impossible. I had a long talk with her... about school.. about friends... about life with cancer. InsyaAllah.. I strongly believe.. she can do it..
May Allah bless you .. This is a really simple project that have crossed my mind in order to get more people spreading the love and care, as well as giving the support to the patients and family in their difficult moments. All you have to do is to send a card to the patients, as well as to the parents and siblings ( through me ). Siblings need support too, as there will times they will have to be on their own while parents accompanying the patients at the hospital. I truly believe, it makes a difference when you know people care about you. I have seen that. Subhanallah..
1. 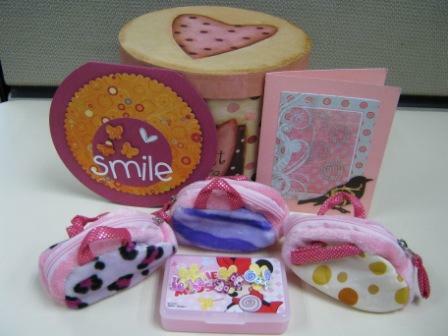 Send cheery & ceria cards.. cards that will make them smile. For the patients, can use " Wishing You Well" , " Take Care " , "My Prayers With You "
4. Cards for the siblings can be like " Good Luck For Your Exam"," Best Wishes "
5. Cards for parents, can be like " We Are Here For You", " Take Care "
The most important thing is.. we are here trying to make them happy & smile. Please do not seal, as I will go through all cards..
1. Please refrain from saying " Get Well Soon" or " Get Better " ..or anything similar.. as there are cases that might not have cure and sadly may not get better. 2. I have experienced hearing someone asked the parents.. " Puan redha? " Please avoid that kind of questions..
Project " Sincerely Yours "
I have been contacted by numbers of friends and strangers (new friends now :) ) who wanted to be a part of Wishing Well Programme. As I am not an NGO ( Wishing Well Programme is a thing that I personally wanted to do and being supported strongly by AMAZING people around me, all praise to the Almighty ), it is quite difficult for me to gather everyone at one time. However, I welcome all extended hands with an open arm. That is how this project " Sincerely Yours " came about. I truly understand when some of my friends told me that even though they wanted to visit and meet the children at the ward, they are just so worried that they might break down. Therefore, I think "Sincerely Yours" will be a good "platform" to be with the children and their family... something like, " jauh di mata, dekat di hati :) "
As Wishing Well Programme is a programme about bringing happiness, smile and laughter in the children who are battling with illness in their life... I believe, insyaAllah, with His permission..project "Yours Sincerely " will be able to deliver that result.... tak banyak pun sikit, insyaAllah.. He will always have a special place in my heart. His courage and his humbleness always made me feel so small compared to him. He is only 15 years old, but honestly.. he is very matured for his age. Adik Hazim is a Stage 4 Non-Hodgkin Lymphoma patient. He has been in and out of hospital, went through critical situations for a few times and yet, he never give up. I thank Allah SWT for crossing my path with Adik Hazim. Syukur Allhamdulillah. He is a gift for me. Honestly, he is the boy who has touched my heart. He knew medically, there is no more treatment for him. We ( Hazim & I ) even had a conversation on what & how death will be. Yet, he never give up. 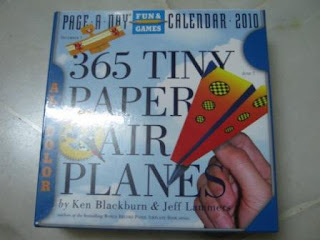 He has started preparing for his PMR next year. Note: He is supposed to sit for PMR this year, but due to his illness, he has not attended school at all this year. He will be in form 3 again next year. May Allah bless Hazim & his family.. and may Allah bless you too..
Syukur Alhamdulillah, Allah SWT blessed me with wonderful friends. Friends who believed in me.. and one of the most precious thing is friends who endlessly supporting me in things I do. That was what soothes Adik Qayyum yesterday. He was having pain during the blood transfusion. Semua jadi tak kena. When I asked the nurse & his grandma ( parents have to be away on urgent matters ) what is wrong.. they told me that the blood transfusion is very painful. When Mr. Hj. Aznil asked me.. how can a non-medical related people help the little heroes.. I said , there are many ways. Emm.. perhaps folding origami papers? Adik Qayyum fell asleep during the transfusion.. his grandma were right next to him, stroking his little hands. I have been receiving a lot of messages today.. I thank you all for your love, care and support. Wishing Well Programme has been receiving tremendous support and prayers, Subhanallah. I thank Allah SWT for His blessing.. semua yang berlaku adalah dengan keizinanNya..
You won't be alone, cause I'll be there. Thank you for all support, care, prayers and love. .. Adik Khayrul Aiman telah pulang ke Rahmatullah pada 7 Oktober 2009, pukul 10:30 malam. Al Fatihah..
Semoga rohnya dicucuri rahmat.. Amin.. Sometimes in life, we do not know how our act will impact someone. Regardless of who we are and what we do, insyaAllah, with His blessing, every good intention will be bringing a positive impact towards the recipient. I thank Allah SWT when I heard that Adik Ng Yee Lin is fighting her very best undergoing the chemotherapy while Adik Hazim is preparing himself to sit for PMR next year. The best news received yesterday was, Adik Aiman's parents are no longer losing hope. They are back on their feet again.. and will try their best to get the best treatment for their little hero. These are some of the real stories that are happening around us. 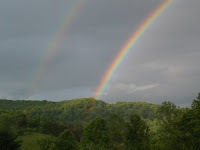 I always believe, after every hurricane, there will be a rainbow somewhere. To know that they are not giving up, is a priceless gift that Allah SWT gave. Syukur Alhamdulillah..
No matter what we do in life.. students, professionals, home makers, artist, politicians, or even if you are still looking for a job ( i wish you the very best ).. in my eyes, everyone has the potential in bringing happiness to the children who are battling in their life. Sometimes we feel that what we do is too small.. believe me, it may be huge to them.. insyaAllah..
All we have to do is have faith in Him. He knows the best.. insyaAllah..
"Keadaan Yee Lin baik sekarang, terima kasih. Yee Lin sudah tak perlu masuk ubat anti virus lagi dan sudah sambung dengan rawatan kimoterapi pada Jumaat lalu. kami diberitahu dari doktor bahawa kalau keadaan Yee Lin stabil, kami sudah boleh bawa balik rumah tak lama lagi"
"Ajal maut di tangan Tuhan... "
That is very true. None of us would know when is the time for us to return to the Creator. What we can do is, try at the very best in everything that we do and leave the fate to Allah SWT. That is what the Wishing Well Programme is all about. We are not giving them hope.. but all we wanted to do is to let the children and their family knows that.. it ain't over till it's over.They have us who loves them very much. I personally do not like the "Last Wish" term. 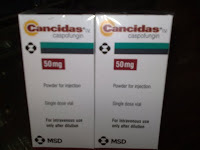 But, at crucial moments, I would use it based on the health situation. 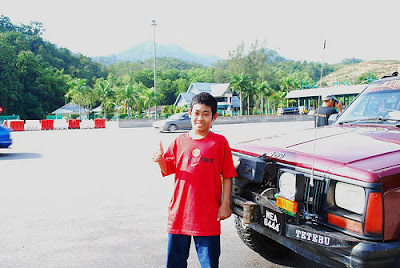 Syukur alhamdulillah, Adik Hazim Husaini has turned 15 years old last Thursday. When I first met him, I was told not to wait for his birthday.. as that may not come. I truly believe, being happy does help in process of getting better. It is not us to decide when is the time.. Hanya Allah SWT sahaja yang menentukan.. It ain't over till it's over.. Wallahualam..
" Dabi, have you said thank you to those who helped you?" asked my parents last night. I remembered I did to some, but I am pretty sure I have missed a few. Thank you mak & ayah for always keeping me in the right track. This note is specially dedicated to all who is reading it, right now. In the early years of my involvement with childhood cancer patients, a friend of mine, who has lost her son due to cancer, told me this... " There are times when we, who have children with cancer broke down when we saw the other children who are in the same situation. Davie, we need you to be strong." That was many years back..and I kept it strongly in my heart. Honestly, it is not easy to hold back tears, especially when the mothers hug me. But you know what, I thank you to Allah SWT for giving me the chance to know all of you.If there is a way, I would like meet in you in person and express my gratitude for your prayers, trust and support in every programmes/projects that I do. Every prayers, trust,emotional encouragements and supports in all ways that you gave, made me stronger every day. It is very meaningful to me. Thank you to all my friends who accepted me for the way I am and endlessly supporting me.. I love u and you all are AMAZING! Honestly, deep from my heart, THANK YOU SO MUCH. Everything happened so fast. When I called hospital, is just a normal follow up that i do, especially that I have been away for Eid. Never crossed my mind that, I received a bad news. I called the mother immediately. Once she heard my voice, she cried. Enough for me to know what the situation is. Soon after, started numbers of phone calls, sms and messages floating in the air. All for the little boy. Adik Aiman really adores Mr.Hj. Aznil Hj. Nawawi, or famously known as Pak Nil. Ever since Adik Aiman met Pak Nil by coincidence, the photo that was taken is like Adik Aiman's precious treasure. 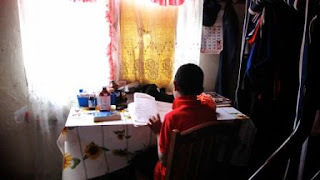 At 6 years old, Adik Aiman is fighting the pain at a degree that maybe some of us may not even have experienced before. The least I could do is... to help him get some of the wishes. Syukur Alhamdulillah.. Pak Nil spent almost 1 and a half hour at Adik Aiman's house. Adik Aiman is in pain, not much conversations can be held.. but I saw Adik Aiman turned and looked at Pak Nil closely...maybe ,who knows.. in his heart saying..."Yeay! Pak Nil datang!! " In dealing with this crucial moment.. everyone who loves and knows Adik Aiman need the moral support.His parents,siblings, relatives, friends... all need the strength to be strong..
Allah SWT has put all of us together.. in helping them to go through this difficult moment.. Subhanallah.. I thank you all of you for helping me to reach Mr.Hj. Aznil Hj. Nawawi. Only Allah SWT can repay back your kindness. p/s Pak Nil gave Adik Aiman a bottle of "air zam zam" that he brought back from his pilgrimage last year. Oh yes, Adik Aiman also received a Tom Tom Bak T-shirt and a cap. He hold it very tightly. I heard his voice when I was talking to his mother over the phone. Crying, in pain. He is only 6 years old, but doctors have asked his parents to bring him back home. So that when the time comes for him to return to his Creator, he will have those that he loves with him. Is it wrong to arrange for a celebrity that he admires so much to be with him at this final stage? I strongly believe not. If this celebrity can make him smile and say the last prayer calmly, what is wrong with that. To me, it is all in the heart. One should not judge a person based on their style, their work or easier said, do not judge book by its cover. Their heart is what matter most. That is my belief.I hold strongly to that. Khayrul Aiman is at the end stage now. His father is also currently battling cancer. The least I can do is, to help the family to see Adik Aiman laughs and smiles for the last time. If Mr. Aznil Hj Nawawi is the one who can do that, we will try to reach Mr.Aznil. Note: Subhanallah... I am surrounded by so many loving people that have helped me to reach Mr.Aznil's agent. Hopefully, they get to meet each other. InsyaAllah.. There is a phrase in my blog that goes something like this.. " Little thing to us.. maybe a huge thing to them". It is true.. as all of us see things differently. So are the children. What they wish for is something that really surprised me.... and honestly,.. their wishes are so pure. When I asked her, what she really wanted to do if she is discharged from the hospital.... quietly, she said.." Nak pergi Muzium Negara "
Sweet right... a teenager who wants nothing more than to go to the National Museum. She is 14 years old, a very cute and extremely brave girl who have been fighting against leukemia since the age of 5 years old. Childhood memories is something that we all have. I had good, bad, silly,happy even embarrassing childhood memories. I believe same goes to all of you :) . For childhood cancer patients, their time are most spent in the ward or at home. Chemotherapy, radiotherapy, skipping school, missing their families, friends..are memories that most of them have since small. I truly believe, being happy does help in the process of getting better. Children are still children. Therefore, they deserve to have their own childhood memories. A piece of happy childhood memories. 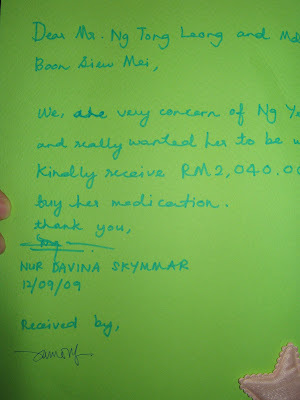 It was last week when I posted the note about a girl who need RM28k for the treatment that she urgently has to take. Today.. I just received a news that.. she is in GOOD HANDS. Some organizations has contacted for the appeal, and syukur Alhamdulillah... Adik Ng Yee Lin will get the medication that she needs. Allah works in mysterious ways.. He crossed our path together.. and as long as we have faith in Him, He will be there. That is what I believe in. All through our life, we have hopes. We hope to be better in life, we hope to have success and well.. we hope that we will meet the right person to share our life with. When we start hoping.. we look for chances to turn that hope into a reality, insyaAllah.. When I posted the notes on Adik Ng Yee Lin, I was hoping for the best. I was hoping that Adik Yee Lin will be given a chance ... a chance to get well. I was NOT doing any donation drive. However, friends started to ask for my account number. Thank you for trusting and believing in me. Honestly, I was overwhelmed by it and a bit worry of holding people's money. Attaching the photos ( err..actually.. i don't like taking photos of myself ) taken at the ward, as evidence to all donors that the money has been safely handed to Adik Ng Yee Lin's parents. I went to Disneyland recently.. and heard this song..part of the lyrics goes like this..
That is what Wishing Well Programme is all about. To give the children a moment to laugh, to have fun and to smile. Not only that, Wishing Well Programme hopes that the children can build the confidence in themselves as well as boost the spirit, regardless how rocky the roads are sometime. Currently, I am focusing on childhood cancer patients. This leads to collaborations with many wonderful individuals, corporates as well as sports bodies. Each and everyone of them is a precious gift from Allah, Alhamdulillah .. and I THANK YOU to all of you for believing and trusting me. I am really glad that Allah had crossed our path in this journey of life. Alhamdulillah.. all projects and programmes have become a success. Subhanallah .. all praise to Him. Nevertheless, all have become a success because I have all of YOU who endlessly supporting me, helping me, guiding me and who have been praying for me. We are here together for the love that we have for the children. MasyaAllah.. so beautiful how Allah make things work. InsyaAllah.. Wishing Well Programme will be expanding the horizon.. so that more children will benefit from the programmes that we are doing. When the mother passed away, I was there. A few minutes late, but I witnessed all. Which leads to the decision I made.. the Cinderella Day Out is still on. Grieving is something we adults do best. However, a child should not be pulled into it. Their journey is still long. Losing a mother is not an easy thing to go through. Especially when it is just a week before the Eid. Cinderella Day Out (13th Sept 2009) was a great success. Syukur Alhamdulillah to Allah SWT for giving me the strength to be as chirpy as always with the children.. and thank you Allah for making so many generous people lending their hands. We went to Tesco Mutiara Damansara and had a great time shopping.There were 8 kids altogether, including Adik Hazim and his siblings. As for Adik Hazim, going through every radiotherapy sessions is not easy.. and the feeling is worse when the lump keeps on appearing everywhere. Happy moments could make him forget the pain for a while. That is the reason why we brought him and his family too. The objective of most of my programmes/projects are to make the children smile happily. It was a mission accomplished today.. as I received A BIG SMILE!!! Syukur Alhamdulillah..
She is in Isolation Room 1. When I arrived, she was watching TV while her elder sister was drawing. That is how life is for the family of a childhood cancer patient. They will be spending most of their time in the hospital, which I could say their second home. Yesterday, I have handed over a total of RM2,040.00 to the family ( money collected from various people out there ), for the medication that little Ng Yee Lin needs. 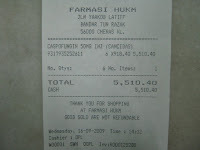 This money will be used to cover treatment for 14th and 15th September 2009. Little Ng Yee Lin is no longer a shy, timid girl. She is chirpy now.. and screamed happily when I gave her a few of Naruto items ( was given by a few of generous people out there ) She was proudly showing off the cards, stickers and jigsaw puzzle to her parents and sister. Seeing the family laugh together was a gift from Allah that I treasure most. I wish I could share those moments with you all, especially with those who have been together with me in my projects. Regardless race, religion, gender and background, these children are the focus of my programmes. To me they are a gift from Allah SWT.